More than a million dogs and cats are using NuVet Labs products to protect against most ailments (from back yard pesticides, pet food allergies and hormones, toxic formaldehyde in furniture and carpeting, ailments transmitted from dog parks and the vet’s office, etc). while maintaining a beautiful skin and coat. Allergies, skin and coat problems, scratching, itching, biting, hot spots, arthritis and joint problems, premature aging, low energy levels, diabetes and liver problems, cataracts and tumors, digestive problems, tearing, heart disease. 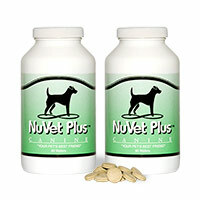 All of our puppies are started on NuVet at 6 weeks old. We highly recommend you go ahead and order the product and have it on hand when you take your puppy to its new home. This way there are no doses missed. To order please use the following code: 60920. To order online click here or call 800-474-7044.